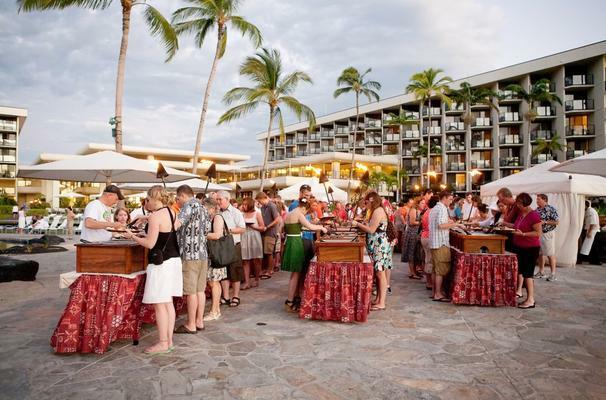 The Waikoloa Beach Marriott Luau, located behind the resort, the ancient seaside trail of Ala Kahakai runs along magnificent Anaeho’omalu Bay, passing two fishponds in which mullet and other valuable fish were once protected for the use of Hawaiian royalty. In the days of King Kamehameha, runners would race along the trail with fresh fish for his dinner table. 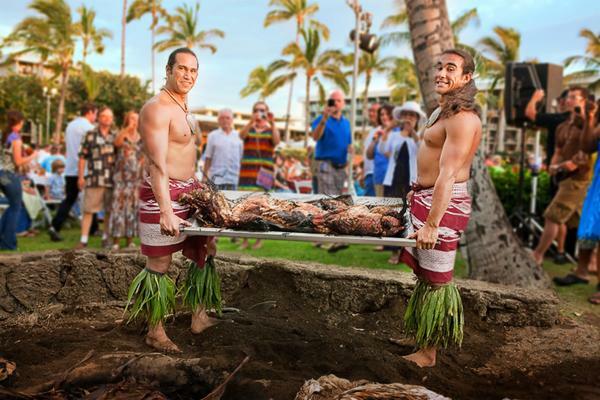 Could there possibly be a more appropriate setting for a royal luau? 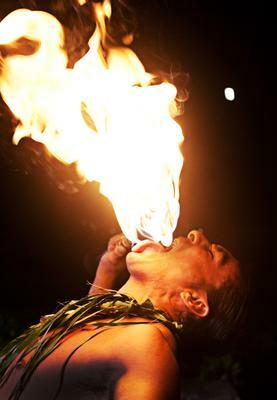 The Sunset Luau is a one-of-a-kind experience is one of the best things to do while in Hawaii. 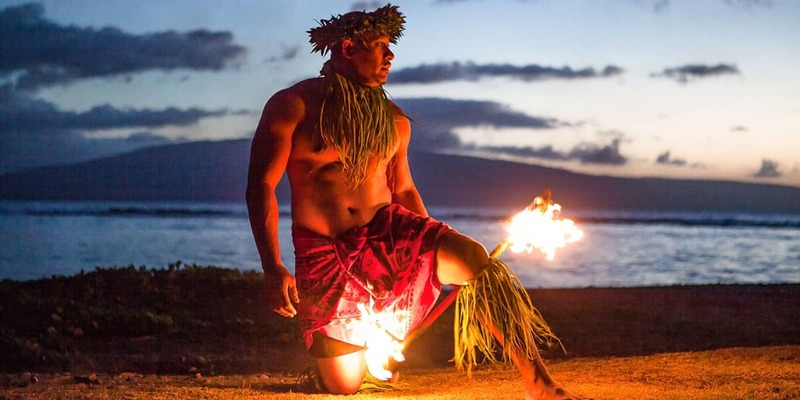 Each Wednesday and Saturday evening, beginning at 5:30 pm, guests gather for the Waikoloa Beach Marriott Luau as the sun slowly sinks over the water. They arrive along winding paths cut into petroglyph-engraved lava rock. Soon the sounds of a conch shell and an ancient chant of welcome invite them to share the spectacle of the Luau’s imu opening. It’s a spectacular event to behold that’s full of Hawaiian Culture. Kalua pork, Kalua turkey, Pulehu chicken, Mahimahi Island sweet potato, fried rice, potato salad, pasta salad, Hawaiian coleslaw, Lomi Lomi salmon, tossed island greens, fresh pineapple and papaya, Portuguese sweet bread and poi. Desserts: pineapple cake, banana cream pie, guava chiffon cake, coconut cake, Haupia, chocolate cake, complimentary Mai Tais, open bar service. 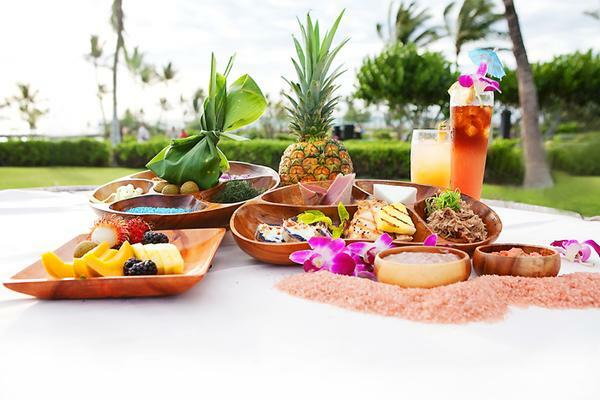 The Sunset Luau is held every Monday and Wednesday at 5:30 pm on the oceanfront lawn at Waikoloa Beach Marriott, a short 10-minute walk from Outrigger Fairway Villas. In an underground pit, a pig has been roasting in banana leaves since early morning to provide Kalua pork, the dish at the heart of every luau. They appear in the salad bar’s Indonesian ginger and curry chicken salad with toasted coconut, pineapple spears, and papaya sections. On the irresistible dessert table are pineapple upside-down cake, coconut cake, guava chiffon cake, and the unforgettable Lilikoi Haupia (passionfruit coconut pudding). 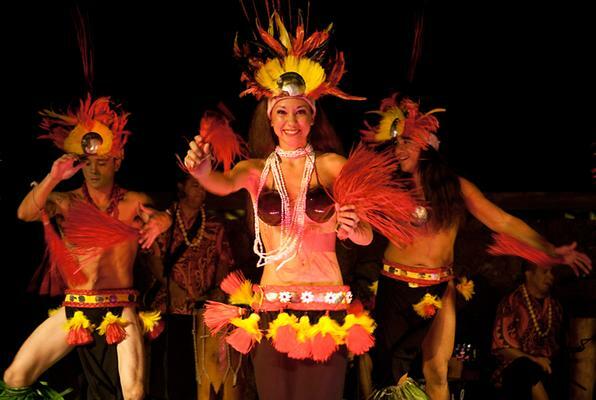 Following the feast, the entire torchlit scene transforms as the dancers, musicians, and drummers of “Tahiti’s Polynesia” transport guests on a 60-minute whirlwind tour of the South Pacific, from Hawaii to Tahiti, New Zealand, and finally Samoa. The evening ends even more magical than it began with their performance of the mesmerizing Samoan fire and knife dance! A fantastic night of entertainment. 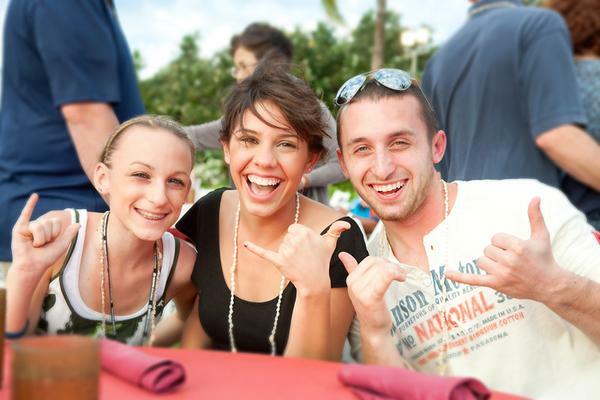 Where is the Waikoloa Beach Marriott Luau located? 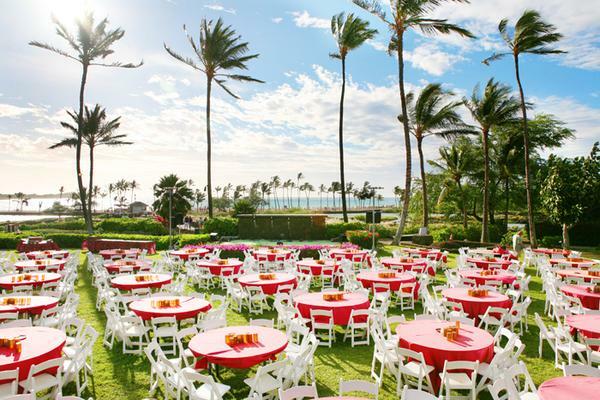 It takes place on the lawn at the Waikoloa Beach Marriott with an ocean view. Yes! 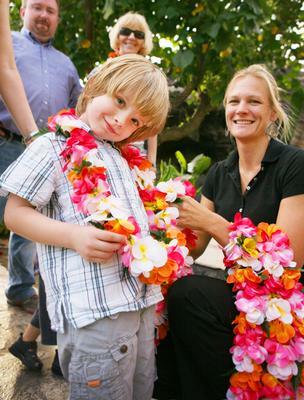 We ask that large parties arrive at the luau grounds early.